Today I’m hosting the book tour for C.L Taylor’s brand new book, ‘The Fear’ and I’ve an extract from the exciting book. We are sitting so close that, when he just changed gear, I had to lean to my left to avoid his forearm brushing mine. A wave of panic courses through me. The last time I was in a car with this man we were driving through France. But Mike doesn’t recognise me. He did a quick sweep of my body as I rounded the van, a casual appraisal any man might do to a woman he’s never met before, but there was no spark of interest when I opened the passenger door and got in. Why would there be? I’m a grown woman, not a child. As he navigates his way back down to the road and up the muddy track to the barn he chatters away about nothing in particular – the weather, the flooding, the news. I nod and shrug but I’m not really listening. I can’t stop staring at his face. He’s forty-nine now and his hair is more grey than black, but it’s still thick and wavy, cut short above the ears and at the nape of his neck. Deep lines stripe across his brow and fan out at the corner of his eyes. He looks old and tired. I was afraid that all the feelings I’d had as a teenager would come flooding back and overwhelm me, but I don’t feel love or desire. Not even hate or fear. What I feel, as I look at his long, thick fingers curved over the steering wheel, is revulsion. ‘Here we are then.’ He pulls on the handbrake and turns off the engine. We’re in the yard. Parked up outside the barn. This is just a small taster from an exciting book that was unsettling and exciting in equal parts. You can pre-order The Fear from Amazon and will be available to buy from good bookshops from 22nd March 2018. ‘The Fear’ is by C.L Taylor. Lou Wandsworth is used to being headline news as, aged fourteen, she ran away to France with her 31-year-old teacher, Mike Hughes. Now 32, Lou’s life is in tatters – and she resolves to return home to confront Mike for the damage he has caused. But she soon finds that Mike is unchanged, and is focussing his attention on 13-year-old Chloe Meadows.Lou decides to take matters into her own hands. But Mike is a predator of the worst kind, and as she tries to bring him to justice, it’s clear that Lou could once again become changed, and is focussing his attention on 13-year-old Chloe Meadows. Determined to make sure that history doesn’t repeat itsee his prey. 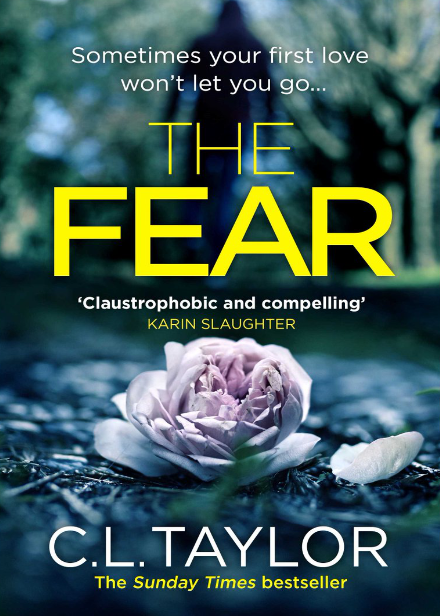 The Fear is the latest book by CL Taylor and it’s another cracking story, filled with strong female characters and an extremely dislikable male lead, this story was thrilling from the very start. The story is primarily seen through the eyes of Lou, a young woman who never really fully got over her first love. It left with her a deep, rooted fear that the man who groomed her when she was just 13 would return to her life. But, when she returns to her childhood home, she sees Mike, the man who tried to kidnap her with a young girl. Terrified, that history is going to repeat itself, Lou tries to reach out to Chloe, but it all ends disastrously, especially with Wendy after the pair of them seeking revenge. The story is written in the past and present tense which gives a great insight into the characters. The sequences written in the past present are seen through Lou’s diary entries and I find these particularly interesting as they set the scenes perfectly, from Lou’s innocent eyes as they slowly widened to the world around her. Now, as a woman, she’s insecure and hesitant to relationships and tends to keep people at distance. Meanwhile, Chloe is Mike’s latest victim, a typical teenager, who’s uncomfortable in her skin, he latches onto her insecurity and unhappiness and uses it to his advantage. Whilst Wendy, is angry woman with revenge on her mind, she’s vindictive and surprisingly quite witty, which adds unexpected sprinkling of humour to the story. A chilling and powerful story that regularly made for unsettling reading. ‘The Fear’ is a smartly written tale, that focuses on grooming and the naive and innocent victims and how easy it is to fall into the wrong hands. Exciting times for C.L. Taylor fans, as she has just revealed her new book called ‘The Fear’. Lou decides to take matters into her own hands. But Mike is a predator of the worst kind, and as she tries to bring him to justice, it’s clear that Lou could once again become changed, and is focussing his attention on 13-year-old Chloe Meadows. Determined to make sure that history doesn’t repeat itsee his prey. 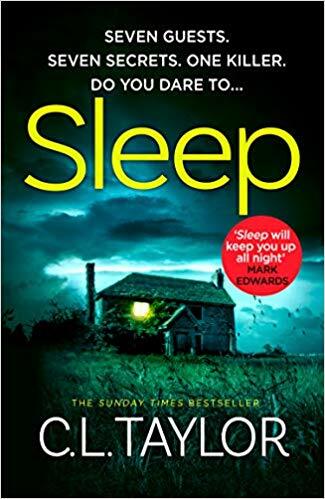 The million copy ‘Sunday Times’ bestseller returns with a taut, compelling psychological thriller that will have you glued to the edge of your seat.